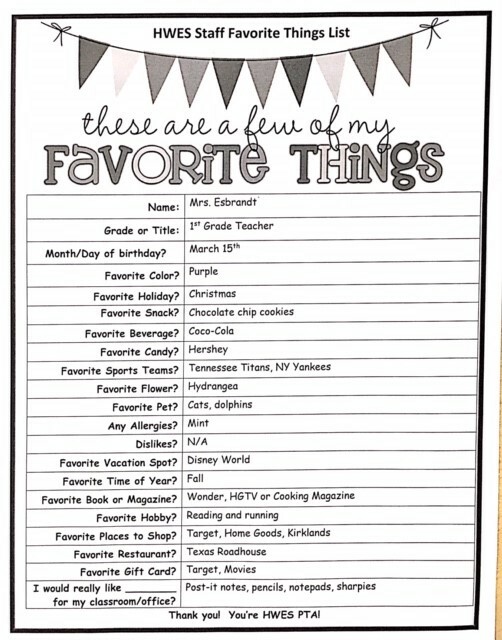 Our teachers and staff are very important to us! 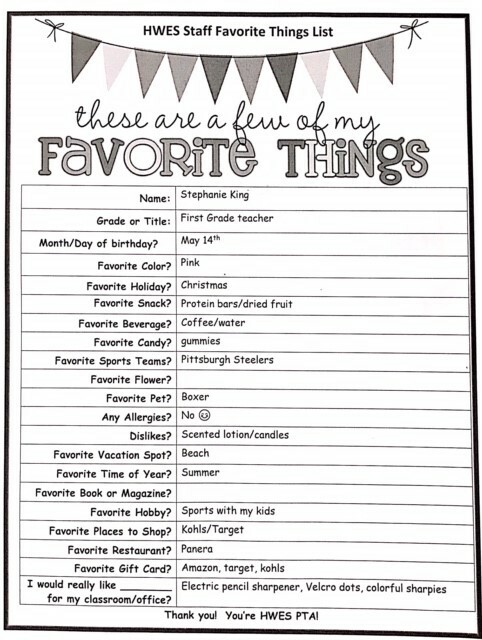 During the year, we like to give them treats or gifts to thank them for all they do for our students and school. 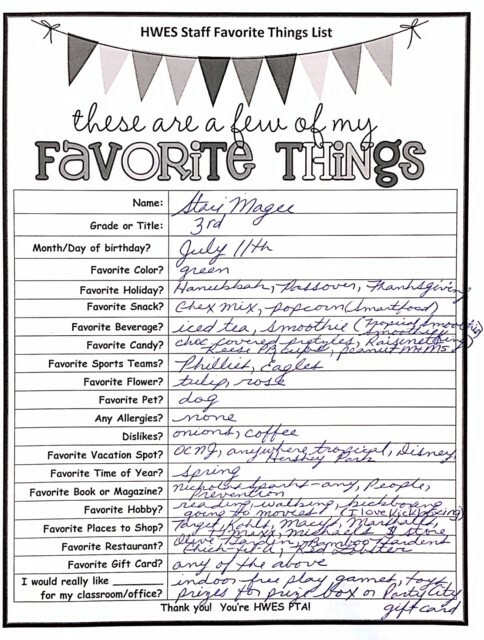 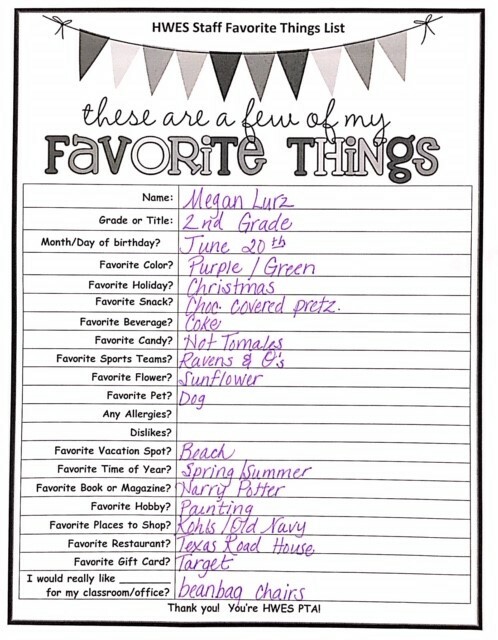 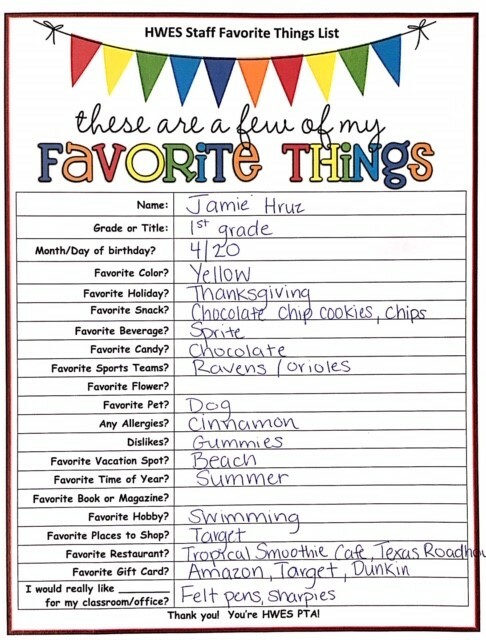 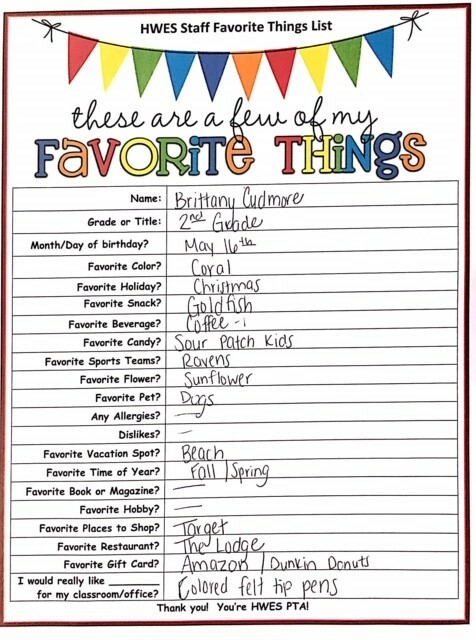 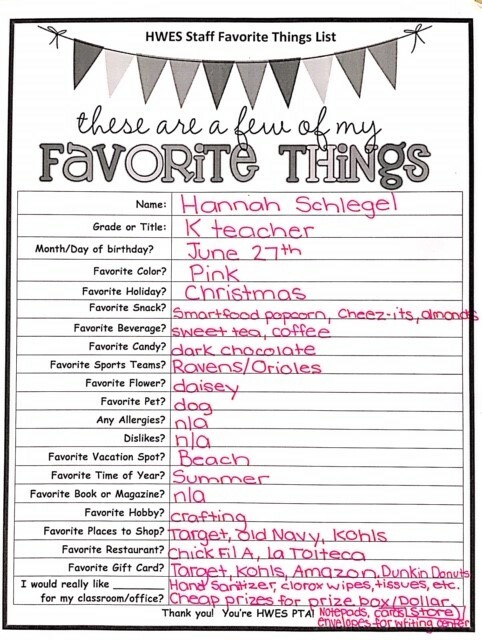 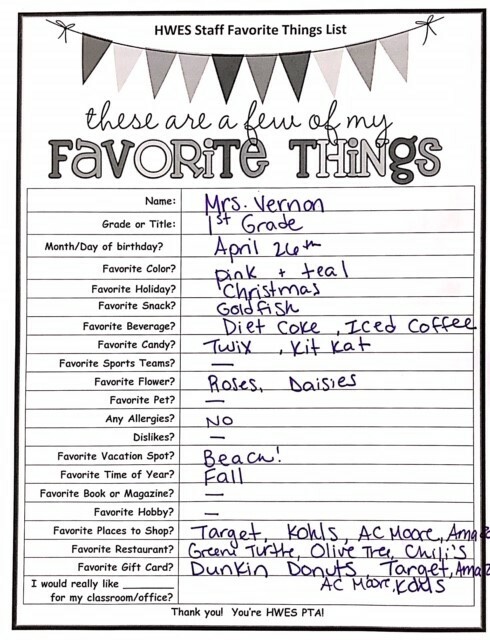 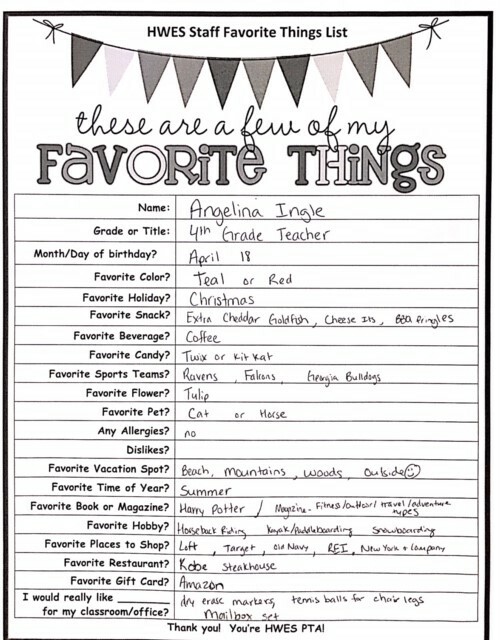 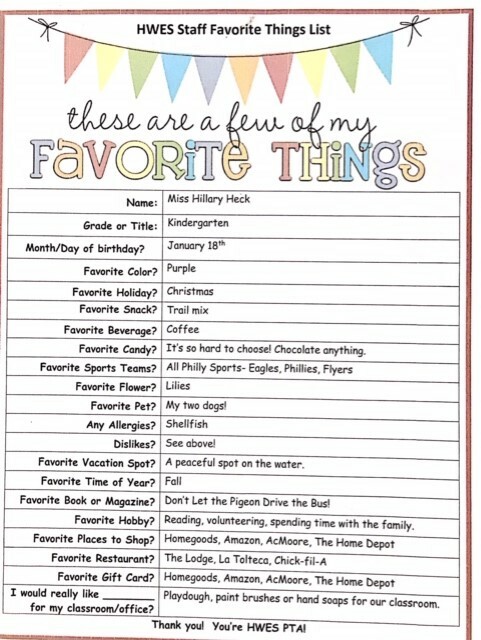 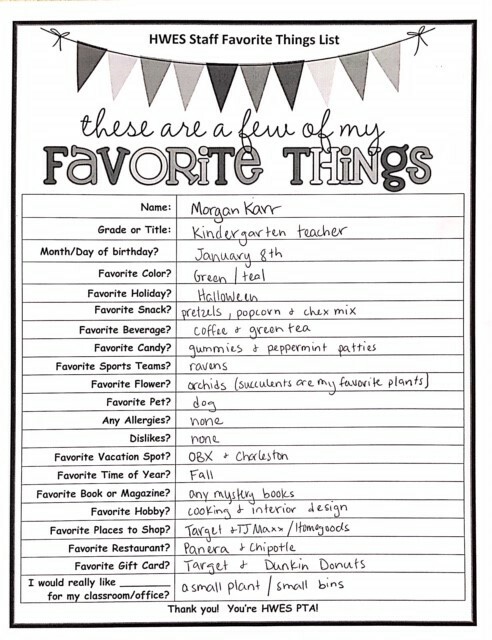 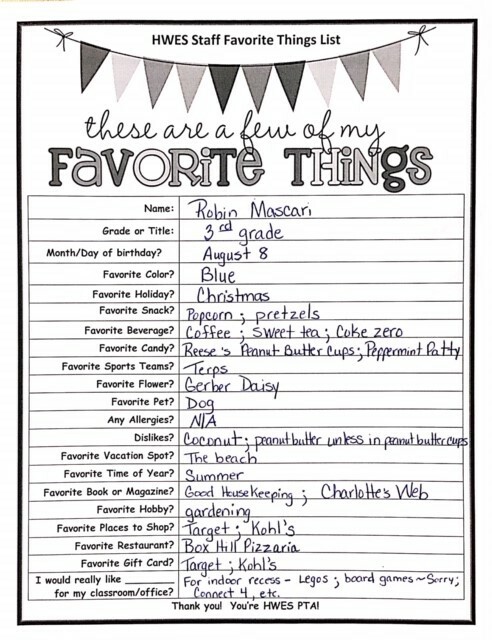 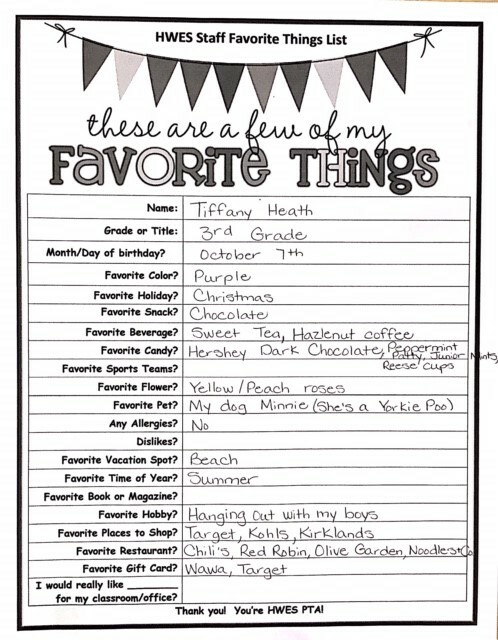 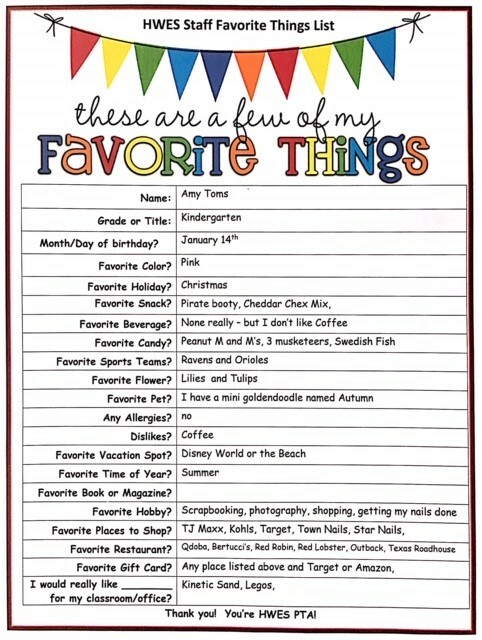 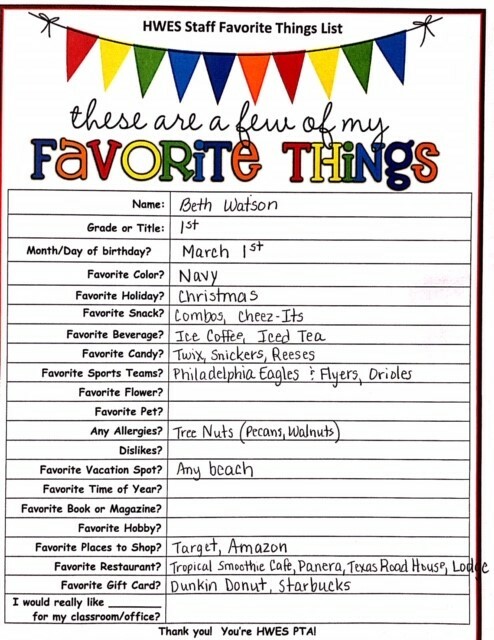 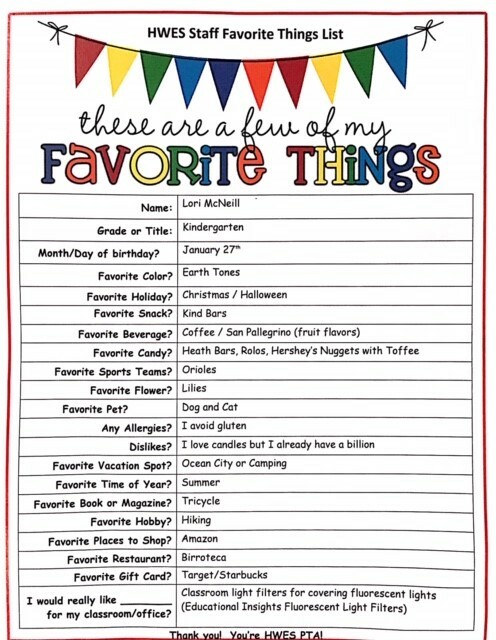 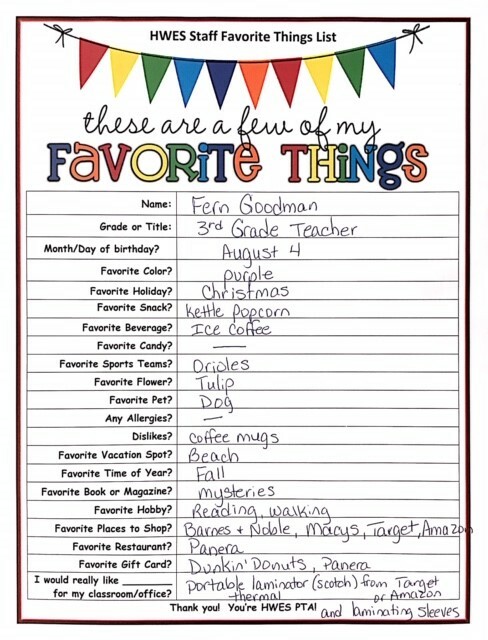 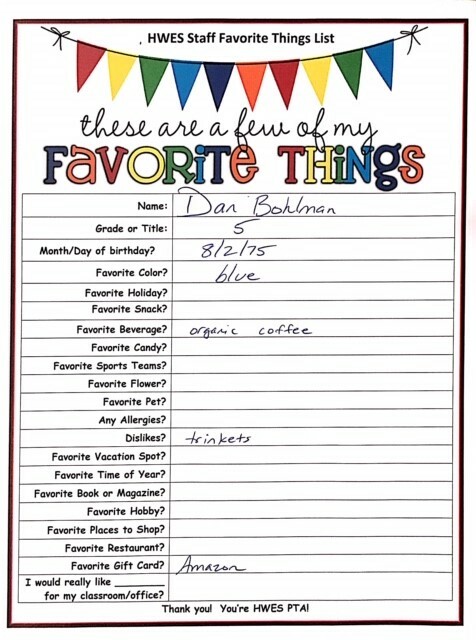 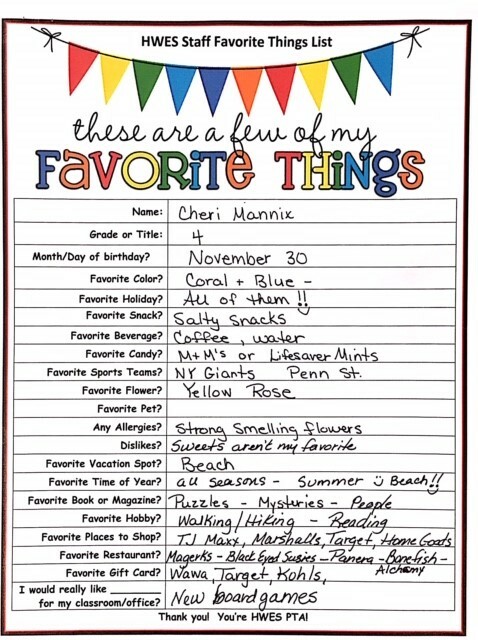 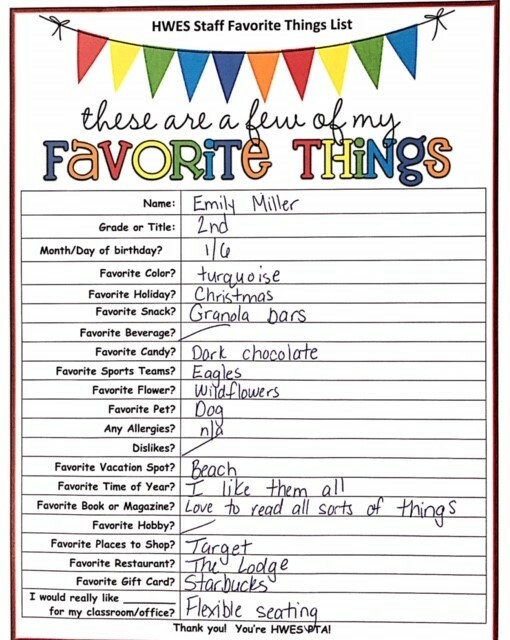 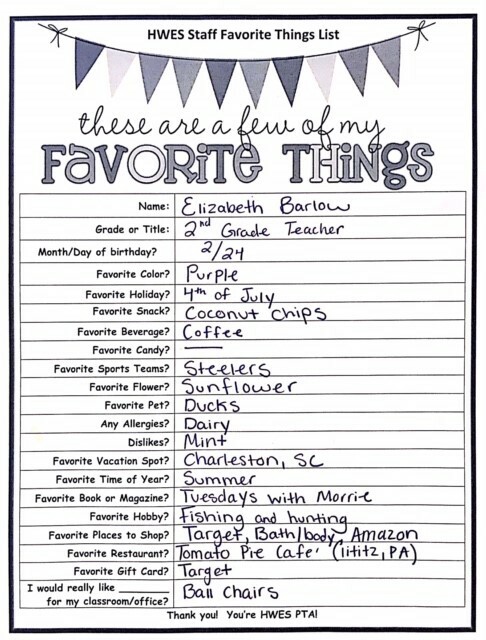 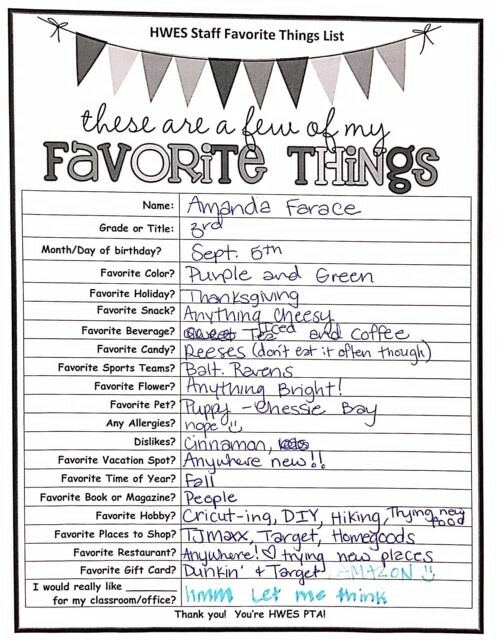 We are currently updating the 2018-2019 List for Teachers’ Favorite Things binder! 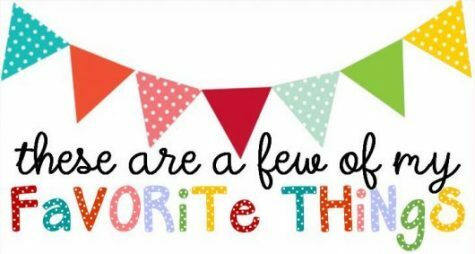 Check back soon for updates to our list.